how do 你 say "Hermione" in your language? I kinda like that verison..do 你 'roll' the r? Yes, "Hermine" is like it's written and it's pronounced like "Hair-mee-neh" :D But I think Hermione sounds much better. many of Malaysian 说 Hermione..but it sounds like Hermoney.. In Poland, we say: Hermiona. In Bulgarian, it's pronounced (her-my-a-nee) Хърмаяни. In Denmark, people calls her Herr-mi-o-nøh. But as for me, it's Her-my-oh-nee. Like in the movies. But my mom calls her Her-maj-o-nie. In Greece, we call her Er-mi-o-nee = Ερμιόνη. It's a Greek name, after all! Shakespere's play, a winterstale..... right? 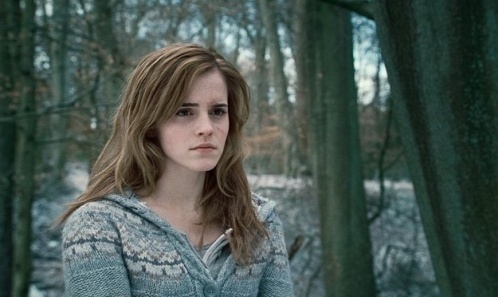 In Greek mythology, Hermione was the daughter of Helen (of Troy) and Menelaus. 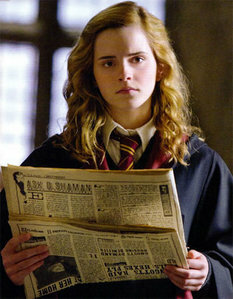 well its a name and no matter how it is written in other languages it should always be pronounced her-my-nee "Hermione"